You'd better watch out when the women of DC Comics are around! 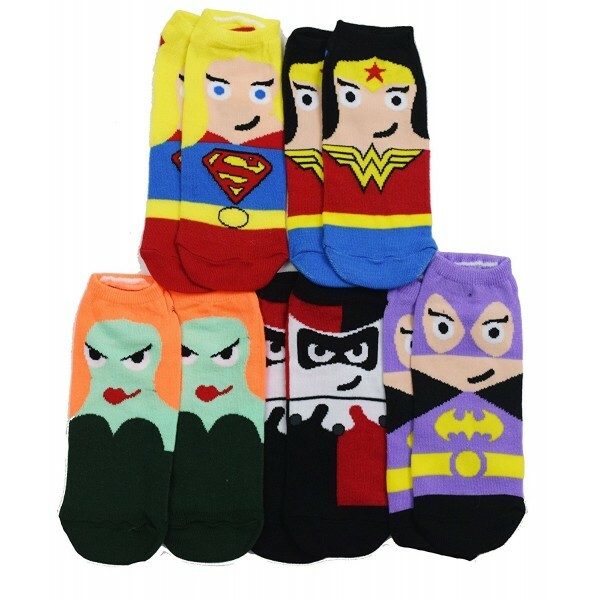 This 5 pack of DC socks features Wonder Woman, Batgirl, Supergirl. Poison Ivy, and Harley Quinn, all in stylized Chibi designs. They are 70% polyester, 20% nylon, and 10% Spandex so they are comfortable and durable. 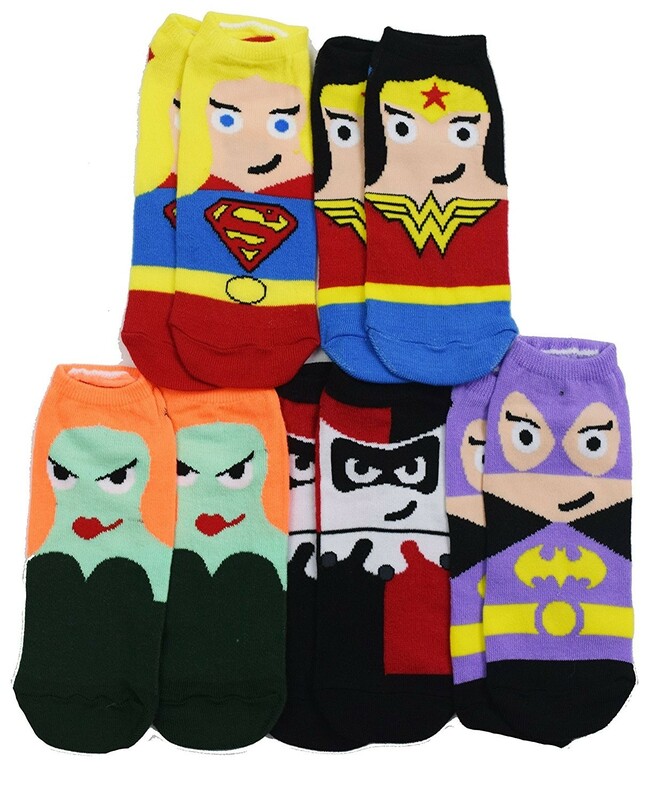 These socks come in one size which fits most women's shoe sizes 4 to 10.